Bio: I received my BSc from UBC in Biochemistry and Chemistry. My current project involves the identification of novel inhibitors for cathepsin K, an enzyme implicated in osteoporosis and cardiovascular diseases. These novel inhibitors selectively block some of the enzymatic activities of the enzyme and leave the active site intact. Methods: molecular docking, enzymatic assays, protein crystallography and molecular biology. 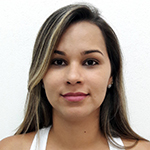 Ph.D. student Bio: My name is Taynara Lopes, I am 29 years old and I am from Brazil. I graduated in chemistry from Federal University of Goiás and Master Degree in Chemistry from Federal University of São Carlos. Now, I am a PhD student from Federal University of São Carlos and I am doing a part of my PhD here in UBC under the supervision of Professor Dieter Bromme. Bio: I got my Pharm. D. from Tehran University of Medical Sciences and worked for three years in Iran. I have always been impressed by research that improves health services and saves lives around the world. For my PhD thesis, I work on modification of platelet bag surfaces to decrease surface induced platelet damage and prevent bacterial growth under platelet storage conditions, thus extending their storage life prior to transfusion. Methods: surface characterization methods, in vitro bacterial and platelet tests. Graduate student Bio: After completing B.Sc degree in Chemistry at McMaster University, Ontario, I started M.Sc program at UBC in September, 2016 under the supervision of Prof. Donald Brooks. I am excited to work on combining both chemical and biological analysis to resolve the fundamental mechanisms of significant discoveries in the field of blood research. My future project will be focusing on functionalization and characterization of choline phosphate through utilizing varieties of bioanalytical techniques. 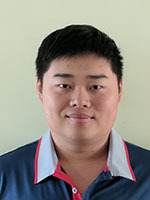 Enxiao Luan is a doctoral candidate from UBC Biomedical Engineering department enrolled in 2015. His research is focused on silicon photonic bio-sensing techniques for medicine and environmental monitoring. His research interests include bio-sensors, optical sensors, silicon photonics, and microfluidics. 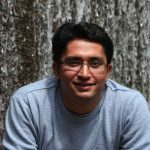 His current work is mainly about designing silicon photonic ring resonator to improve the sensing performance and building optical sensing system for long-term pesticides detection in water. Enxiao received his B.S. degree and M.Eng. degree from Harbin Institute of Technology, China in 2013 and 2015 respectively. Bio: I completed my B.Tech in Biotechnology from VIT University, India in 2013 following which I moved to Vancouver to further pursue my academic interests. Having started graduate school in the Department of Pathology and Laboratory Medicine, I plan on completing my PhD with the Côté group. My research primarily focuses on investigating the effects of maternal HIV and antiretroviral drug exposure in utero on cellular aging in infants. Methods: Multiplex qPCR, cell culture. Bio: I have a BSc (Hons) in the UBC/BCIT Biotechnology joint program. I started graduate school in the Department of Pathology and Laboratory Medicine less than 2 months after graduating, and I plan to complete my PhD here. My current work addresses the effect of chronic HIV infection on accelerated aging in immune cell subsets. Methods: multiplex qPCR, cell sorting (FACS), and cell culture. 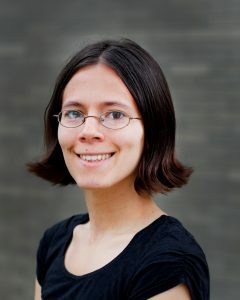 Ph.D. student Bio: I received my Bachelor from University of Toronto specialising in Immunology. Then I completed my Master’s Degree here at UBC working with preservation of biologicals using engineered antifreeze proteins. Now I am exploring the field of transfusion medicine under the supervision of Dr.Dana Devine. My project will mainly focus on new platelet storage methods and applicaiton. The ultimate goal of my research is to be able to help those in need. Bio: After completing my B.Sc. in Microbiology at the University of Guelph, I started my Ph.D. under the supervision of Leonard Foster and Eric Jan. My project focus on using Drosophila as a model system to study how viruses interact with host cells, specifically the innate immune system. Using deep sequencing and quantitative proteomics I’m looking into the role of small vesicles involved in cell-to-cell communication, termed exosomes, during viral infection in Drosophila. Methods: Quantitative proteomics, Cellomics, Confocal, RNA methods (Northern blots, RT-PCR etc. Bio: I have a B.Sc. Honours Biochemistry, Minor in Biology (Ecology) from UBC. Currently, I am studying a form of disease resistance called “hygienic behaviour” in the honey bee. A handful of olfactory proteins are tightly linked with hygienic behaviour and my thesis revolves around determining their functional role, such as what odorants the proteins bind to and what happens to the behaviour if the proteins are overexpressed or knocked down. Methods: liquid chromatography mass spectrometry, proteomics, gas chromatography mass spectrometry, electroantennography, RNAi and transgenics. Ph.D. student Bio: After completing my BSc in Biology at California State University Long Beach, my work focused on the immunogenicity of recombinant Als3 vaccine against bacterial and fungal infections. Currently, I am a PhD student under the supervision of Dr. Bob Hancock. My project investigates the role that innate immune cells, particularly monocytes, play in the reprogramming of the host response due to infection which can result in life-threatening syndromes such as sepsis. Bio: I have a BSc in Cellular, Molecular and Microbial Biology from Thompson Rivers University. My current research focuses on the effects of known and modified antibiotics and antimicrobial peptides against opportunistic gram negative pathogens in host-like conditions. I am studying the mechanisms that allow these pathogens to have differential susceptibility to some antimicrobial agents in conditions that mimic the host environment, such as the serum of a sepsis patient or the sputum of a cystic fibrosis patient. Methods: MIC assays, time kill curves, synergy assays, RNA-Seq, RT-qPCR, Tn-Seq. Bio: I graduated from UBC with a BSc in 2014 having completed the joint UBC/BCIT Honours in Biotechnology program. During my undergrad, I spend my co-op terms exploring the many disciplines that ultimately fall into the field of biotechnology. With a passion for infectious disease research, I started my MSc turned PhD studying a novel form of motility exhibited by the pathogen, Pseudomonas aeruginosa. Bio: I have a BSc in Biochemistry from Queen’s University. My current research focuses on the manner in which various signals can create alternative activation modes in macrophages, changing their response to signals of infection such as TLR agonists to promote inflammation, wound healing, or other activities. Methods: tissue culture, immunoassay, RT-PCR, mouse models. Ph.D. student Bio: I have a BSc in Microbiology & Immunology from UBC. I am interested in infectious diseases and the pathogens that cause diseases. 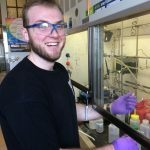 My current research in the Hancock lab focuses on swarming motility and antibiotic resistance in Pseudomonas aeruginosa, a cystic fibrosis and nosocomial pathogen. Bio: I did my Undergraduate studies in Biotechnology from Kurukshetra University, India, finished my Master’s in Molecular Biology from SRM University, India and went for an exchange program to Harvard Medical School, Boston, USA where I finished my master’s thesis. Iam currently pursuing my PhD in Microbiology and Immunology and working to understand the role of ATP binding cassette molecules in inflammation and immunity in TLR-4 mediated innate and adaptive immune responses. Methods: Flow Cytometry, ELISA, Western Blot, Fluorescence Microscopy, RT-PCR, Cell culture. Ph.D. student I came to UBC to do a PhD in Microbiology and Immunology after completing my bachelors in Computational Molecular Biology at Graz University of Technology in Austria. I am now studying the role of calcium channels in B-lymphocyte development and homeostasis. Ph.D. student Bio: I graduated with a Masters degree (Hons.) in Microbiology from Guru Nanak Dev University, India. I then went on to fine tune my technical skills and get work experience as a project intern in the Institute of Microbial technology, India. Here I undertook research on the aspects of Nitrosative stress resistance in Mycobacterium tuberculosis. Enriched with this experience, I then came to UBC to peruse my PhD in Medical Genetics in the Jefferies’ Lab. The focus of my current research is the modulation of blood vessels in animal models of Alzheimer’s Disease, in order to find novel therapeutic interventions to abate disease pathology.Methods: in vivo AD murine models; treatment and cognitive behavioural analysis, immunohistochemistry, western blot analysis, confocal microscopy. 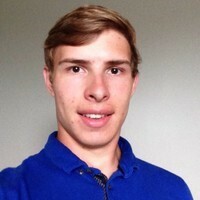 Bio: I completed my Bachelor of Science at UBC with a Double Major in Biology and Psychology. I am currently a PhD candidate in the Department of Microbiology and Immunology. The focus of my research is on the role of voltage-dependent calcium (CaV) channels in immune cells. Methods: Murine models, flow cytometry, cell culture, RT-PCR. Ph.D. student Bio: I received my B.Sc. in Biochemistry from McGill University prior to joining Dr. Aly Karsan’s lab. My current focus is to investigate genes involve in hematopoiesis, particularly at earlier stages of embryogenesis when the first hematopoietic stem cells (HSC) arise. 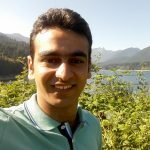 Bio: I received my B. Sc in Biophysics from UBC and am currently pursuing a Ph. D. in Genome Science and Technology. For my thesis project, I’m developing biomaterials that can be controlled by and function alongside the coagulation cascade. Methods: polymer modifications, dynamic mechanical analysis, fluorescence microscopy. Bio: I completed my BSc at UBC, majoring in biochemistry and molecular biology. I am currently a PhD candidate in the Kastrup lab and my project involves investigating the adhesive properties of blood clots, as well as deciphering links between Alzheimer’s disease and hemostasis. My interest ranges from coagulation biochemistry, coagulation biophysics and neurodegenerative diseases. Methods: coagulation assays, enzyme kinetics, fluorescent microscopy, micfrofluidic models of coagulation, thromboelastography. Bio: After obtaining my B. Sc. In Biochemistry at McGill, I joined the Kastrup Lab to pursue my PhD in Biochemistry and Molecular Biology. My research focuses on identifying the a new mechanism of regulation of FXIIIa and its implications in pathophysiology and therapeutics. Methods: Microscopy and Western Blotting and in vivo murine models. 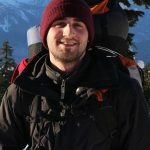 Ph.D. student Bio: I recently completed my BSc in Biochemistry and Molecular Biology at UBC where I obtained work experience through the UBC Science Co-op program. I am now pursuing my MSc in the Kim Lab, where I am studying how the actin-binding protein filamin A controls platelet function. The overall goal is to eventually learn more about how platelets participate in inflammation. M.Sc. 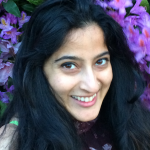 student Bio: I graduated with a Doctor of Dental Surgery degree from the University of Toronto and I am now completing a combined MSc and Diploma in Periodontics at the University of British Columbia. My research investigates the degree to which platelet-derived factors mediate pro-inflammatory cytokine secretion in gingival fibroblasts. Ph.D. student Bio: Upon completion of my B.Sc. in Chemistry from McGill University, I came to UBC to pursue a graduate degree under the supervision of Dr. Kizhakkedathu. My current project focuses on development of novel macromolecular inhibitors to eliminate thrombotic risk. Ph.D. student Bio: I completed my Bachelor of Science degree at McMaster University in Hamilton in the field of Chemical Biology. I completed my undergraduate thesis in the Hoare lab by developing novel polymeric nanoparticles as potential drug delivery vehicles. I also completed a work term in the Barrett lab at McGill University looking at polyelectrolytic multilayers for cell adhesion. Now I have joined the Kizhakkedathu lab for my PhD in Chemistry. My research interest lies in polymeric materials for biomedical applications. Ph.D. student After completing my MSc in Craniofacial Science from UBC, I joined Kizhakkedathu research team to keep moving forward with my research interest in modulation of functional surfaces to minimize the immune response from the host. For my PhD thesis, I am focusing on red blood cell surface engineering to develop truly universal red blood donor cells. Such development would significantly improve the blood supply and increase transfusion safety by successfully modulating the interaction between the modified cells and host immune system.Methods: Bio-functionalized polymer grafting and enzymatic cleavage of carbohydrate antigens. Ph.D. student Bio: I hold a BSc and MSc degree in Polymer Science from Amirkabir University of Technology (AUT, Iran). I have a two year working experience on the development of the UV-curable coatings and the photopolymers used in 3D printing processes in a knowledge-based company in Iran. For my PhD thesis, I am working on the development of the novel polymeric coatings used in the cardiovascular applications. Graduate student Bio: After completing my Bachelors degree in Medical Laboratory Sciences at the University of British Columbia, I decided to continue my studies with the Kizhakkedathu group for a Masters degree in Pathology and Laboratory Medicine. My research focuses on the development of a targeted drug delivery system to treat iron overload in cardiac cells occurring in patients that require chronic transfusions such as patients with thalassemias and sickle cell anemia. My research interest is to engineering creative solutions to overcome barriers in the body and enhance therapeutics delivery. After completing my MSc in Biomaterials and Tissue Engineering from Southeast University, I joined Kizhakkedathu group for doctoral studies. My research is aimed at developing novel coatings to improve the quality of vascular catheters and urological catheters. For my PhD thesis, I work on modification of indwelling catheter surfaces to decrease surface induced thrombus formation and biofilm formation based on mussel-inspired chemistry. Methods: surface and particle characterization methods, bacterial assays and hemocompatibity assays. M.Sc. 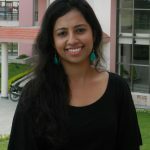 student Bio: I completed my Master’s degree in biology from Indian Institute of Science Education and Research, Kolkata. Here at UBC, I joined Kizhakkedathu group as a graduate student with an urge to translate the discoveries from a laboratory bench to the bedside of the patient. My project is on developing better therapeutics for thrombosis without the risk of bleeding. It involves in developing inhibitors that selectively target the newly identified polyanionic mediators of thrombosis. To accomplish this, we will synthesize and characterize novel inhibitors. Efficacy of these molecules will be determined by animal models and several biological assays for coagulation. M.Sc. student Bio: Originally from Hong Kong, I came to UBC to complete my Bachelor of Medical Laboratory Science and currently, I am pursuing a MSc in Pathology and Laboratory Medicine. I am working in Dr. Kizhakkedathu’s laboratory at CBR on the development of novel macromolecular therapeutics for the treatment of iron overload. M.Sc. student Bio: I have a BASc. in Mechanical Engineering (Mechatronics Option) from UBC. I was a Design Engineer at Enginuity Engineering Consulting for 2.5 years, before joining the Multi-scale Design Laboratory. I am currently developing an automated experimental platform for high-throughput cell migration assays. The device will be compatible with radially-arrayed microfluidic disks, and will allow biomedical researchers to run a large number of experiments in parallel. Bio: I received my BSc in Biochemistry from the Universidad Autonoma de Madrid (UAM) in Spain before moving to Canada to enroll in my MSc in Medical Genetics. I have always been interested in helping people by improving their health. My research focuses on the study of podocalyxin, a member of the CD34 family sialomucins, and its role in primary tumor development and metastasis. Methods: in vivo murine tumor models, cell culture, Flow Cytometry. Bio: Chronic kidney diseases affect ~10% of the Canadian population. Despite their heterogeneous and complex etiologies, many chronic renal disorders ultimately converge at single common sequela—Podocytopathy: a poorly understood change in the behavior, survival and morphology of kidney podocytes. The goal of my research is to uncover the mechanism by which the podocyte-specific protein podocalyxin, a CD34-family sialomucin, functions to maintain normal podocyte function. Using a variety of experimental models, my work examines if the various proteins regulated by podocalyxin can be targeted therapeutically to preserve normal podocyte function or halt their effacement during disease. Ph.D. student Bio: I completed my Bachelors with Honours in Chemistry at University of Delhi, India. I worked on development of mechanism-based reversible inhibitors of kinases to target cancer during my M.Sc in Chemistry at Indian Institute of Technology Madras, India. I have started my Ph.D in the Chris Orvig group at UBC. My research involves synthesis of radioactive metal complexes which aim for therapy or imaging. I am currently working with 8-Hydroxyquinoline ligands. Ph.D. student Bio: I completed my B.Sc with Honours in Chemistry at Mount Allison University in Sackville, New Brunswick. My current work in the Orvig group is focused on designing acyclic picolinic acid chelators functionalized with phosphonate moieties, which should serve to coordinate to hard radiometals such as actinium. The primary goal of our group’s work is the production of novel radiopharmaceuticals for diagnostic imaging and therapy. Ph.D. student Bio: I completed a BMSc in Pathology & Toxicology at the University of Western Ontario in 2015, and MSc in Medical Sciences – Infection & Immunity at McMaster University in 2017. Currently I am working on my PhD in Biochemistry & Molecular Biology here at UBC in Chris Overall’s lab. My research interests involve studying sepsis, which is a disease resulting from an overwhelming inflammatory response to infection that leads to multiple organ dysfunction/failure, and often death. 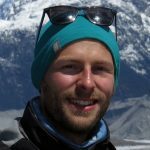 My PhD projects aim to apply proteomics, specifically degradomics and N-terminomics techniques, to systematically study protease activity in sepsis in order to better understand sepsis pathophysiology and potentially identify novel pathways or drug targets that can be utilized to develop new treatments for sepsis. M.D./Ph.D. 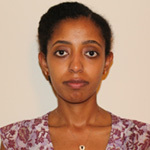 student Bio: I completed a BSc(H) in Biochemistry from UBC. Currently, I am working on the combined MD/PhD program here at UBC, continuing the work I began as a student research assistant in the Overall lab. I focus on the expanding roles played by Matrix Metalloproteinases in biology by looking at a novel class of substrates called “moonlighting” proteins. The goal of this research is to reveal new potential targets for therapy and exciting biological pathways necessary for maintenance of normal physiology or that may lead to pathology. Ph.D. student Bio: My research career started at UBC where I completed my BSc in Microbiology and Immunology with a Co-operative Education option. This degree coupled with my work experience in academic and industrial labs, steered me towards an interest in research, especially in viruses. My next big step is conquering the PhD program in the Department of Pathology and Laboratory Medicine at the Pryzdial lab. My project is focused on investigating how viruses initiate coagulation in the blood by using herpes simplex virus as my model virus. Bio: I completed an honours BSc, Health Sciences at McMaster University. I worked with Dr. Howard Chan at the Thrombosis and Atherosclerosis Research Institute in Hamilton, Ontario focusing on designing a turbidometric clotting assay to study the reversal of factor-specific anticoagulants. Currently, I am working towards an MD/PhD degree at UBC, continuing my research interests in blood research with Dr. Edward Pryzdial. My focus is on understanding the physiology of fibrinolysis to develop novel “clot-busting” therapeutics with clinical applications in myocardial infarction and stroke. Methods: physical in vitro methods (eg. light-scattering assays and thromboelastography) and in vivo murine thrombolysis models. Bio: I studied Biology at the University of the District of Columbia, Washington, DC, USA. After the completion of my undergraduate degree, I received a post baccalaureate research opportunity in the Division of Hematology, Center or BIologics Evaluation and Research, U.S. Food and Drug Administration. After 4 years of great research experience, I came across the Center for Blood Research. It was instant that I felt my research interest and experience were well aligned with the center’s mission. I will be working on “Improving pathogen inactivation: The dengue virus-induced platelet proteome”. Methods: Virus propagation, Western blotting, Confocal, Proteomics etc. Ph.D. student Bio: I got my medical doctoral degree from Tehran University of Medical Sciences, Iran, and currently I am a PhD candidate in Dr. Fabio Rossi’s lab at the Biomedical Research Centre. 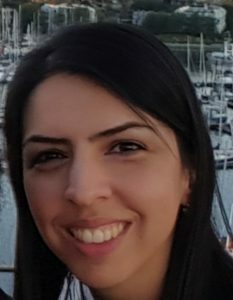 My PhD project is mainly focused on applying advance technologies (Flow-cytometery, Single-cell digital droplet PCR, RNA-sequencing, Lineage tracing) to understand and elucidate the cellular and molecular mechanisms of tissue repair and fibrosis development using animal models of human disease. Bio: I am a Concordia University B.Sc. graduate, with an Honours degree in Biochemistry. After moving to Vancouver, I worked as an analyst at the Australian Laboratory Services. At the moment, I am a PhD candidate in Genome Science and Technology. My research focuses on the role of histone methyltransferases in acute myeloid leukemia progression. I am also working on the investigation of factors controlling the number of hematopoietic stem cell niche in the bone marrow. Methods: flow cytometry, genetic modification, in vitro assays, cell transplantation, confocal microscopy, and bioinformatics analysis. Bio: I received my BSc in Life Sciences from Central South University, Changsha, China. I came to UBC and joined the Scott Lab pursuing a PhD in Pathology and Laboratory Medicine. My project aims to develop a novel miRNA-based therapeutic which can enhance the body’s own existing immune system to kill the tumor cells. Methods: miRNA purification & potency techniques (qPCR, MLR), tissue culture, immune cell phenotyping and subset differentiation (flow cytometry). Ph.D. student Bio: I received my BSc from the University of Guelph (Guelph, Ontario) in Biochemistry (2015). For my fourth-year honours thesis, I had the opportunity to work in Dr. Rod Merrill’s structural biology laboratory, where I studied small protein virulence factors of agricultural importance. I went on to complete my MSc in Dr. Merrill’s lab (2017), and moved to Vancouver to complete my PhD in Dr. Natalie Strynadka’s lab. 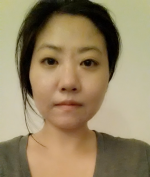 Ph.D. student Bio: I was born in China and came to Canada when I was in the second year my undergraduate. I went to University of Calgary to study biology. At that time I met Dr. Fraser. I stayed in her lab for my Masters and did researches on protein function using macromolecule crystallography. Now I moved to UBC to work with Dr. Strynadka for my PhD. Bio: I graduated with an honours BSc from the University of the Fraser Valley and am currently studying antibiotic resistance in the Strynadka lab. I am particularly interested in determining the regulatory pathways of genes responsible for antibiotic resistance in methicillin resistant Staphylococcus aureus (MRSA). Bio: I received a BSc in Biochemistry from UBC. Currently, I am working towards solving the atomic structures of several bacterial glycosyltransferases and beta-lactamases in complex with novel inhibitors. M.Sc. student Bio: I received a BSc (Hons) in biochemistry from the University of Victoria before coming to UBC. 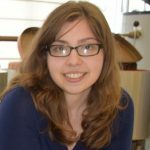 As a member of the Strynadka lab, I am investigating the mechanisms underlying bacterial cell wall synthesis using structural and biophysical techniques.